Since the beginning of the crisis in Syria, over 3.5 million Syrian refugees, out of more than 5.5 million, have fled to Turkey where they have been granted shelter. This makes of Turkey the country with the highest number of refugees in the world. WHO works closely with Turkey’s Ministry of Health to provide culturally and linguistically-sensitive health services to Syrian refugees. In Torbali province of İzmir, Turkey, it is not easy for Syrian seasonal workers and refugees in improvised settlements to access health services. A team led by Dr. Pavel Ursu, WHO Representative to Turkey, and by the Provincial Health Directorate visited the area to assess the health status and needs of the workers and their families. Muhammed, a Syrian doctor, provides health care to refugees in Turkey thanks to a training programme organised by WHO and the Turkish Ministry of Health with financial support from ECHO. 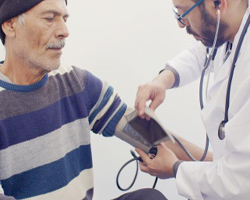 Here he and other health professionals, explain how the programme enables them to practice their profession in Turkey, and improve health care for refugees.